Do you discount for certain customers or groups of customers? It can be an effective tool for promotions when used correctly. I thought I’d cover some of the ways that SP-1 by SelbySoft can help you manage and track your discounts. First, SP-1 actually has two methods of promotions. Discounts and Coupons. The difference is that a discount is a percentage or dollar amount off a specific item (0r group of items) and that a coupon allows you to specify a set price for an item (or group of items). For example: You might create a 10% discount on pastries for senior citizens or a $1.00 off a large pizza. A coupon might be a 2 topping large pizza for $12.99 or $3.00 for a coffee & muffin. What time of day and / or day of week the promotion is good for? Which menu groups and specialty items are included? Will this discount or coupon allow people to combine offers? Can you get full rewards points when using this coupon or discount? Is there a security level required? Don’t have a Point of Sale system yet? Here are 5 reasons you need one! Gift Cards: Gift certificates and punch cards just don’t cut it anymore. They leave you open to mistakes, slow your line and service down and provide theft opportunities. Employee Tracking: Using SP-1 to schedule your employees will make sure your employees are clocking in when they supposed to. Employee time is accurately tracked and employees only have access to features they need. Tracking: Having SP-1 allows you to track what is and, more importantly, is not selling. Use the built in menu tracking to really see how your store is doing and stop the guesswork. Theft: People steal. They steal less when you have SP-1. Inventory: Tracking your cost of goods sold and waste can put money in your pocket. SP-1 can help you do this easily. Want some more details? Give us a call! Price and Features: Let’s be frank. Budget matters. Before you start your search, think about what you can afford. After you have that out of the way, you need to compare the features of the POS and the features you actually need. Most systems have more features than you will use. The challenge is to find the right set of features for your particular scenario. Do you need call ahead options, delivery tracking, gift cards, alcohol considerations? Make sure you get the right set of features and your POS system can pay for itself in a matter of months or a few years. Staff: You have employees that deal with customers right? Why not let them in on the demonstration? Ask them about features they feel are important to their day to day positions. Having your staff involved can help them take ownership and reduce complaints down the road. Don’t just think about orders: Sometimes you can get caught up in the ordering side of things. Remember, a great POS helps you with far more than just transactions. It’s important to think about reporting, theft controls, gift and loyalty programs and customer engagement. Get the right system: Your store is unique. Sure, there may be other stores that are very similar but none that are yours. The specific flow in your store matters as well. 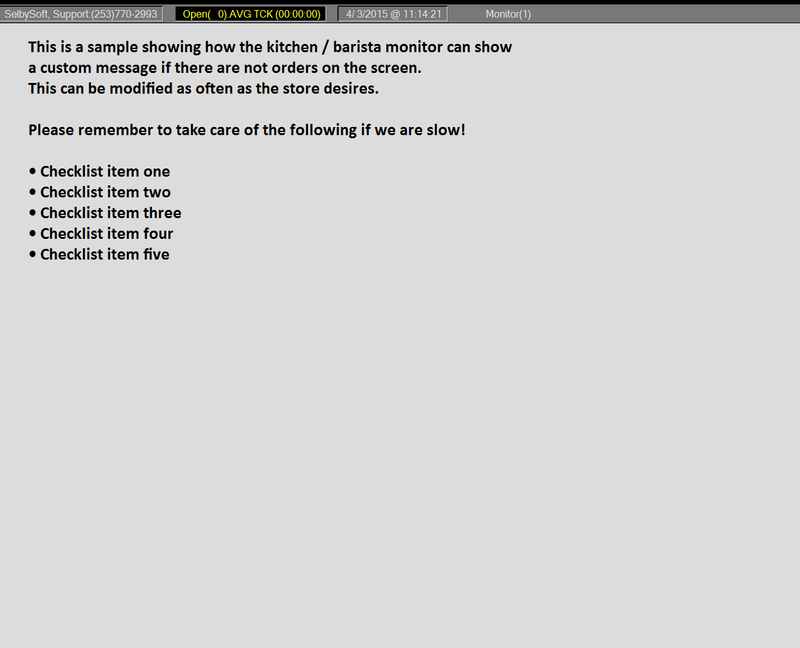 Make sure that you investigate how the POS system will help with flow and getting orders to the appropriate people. 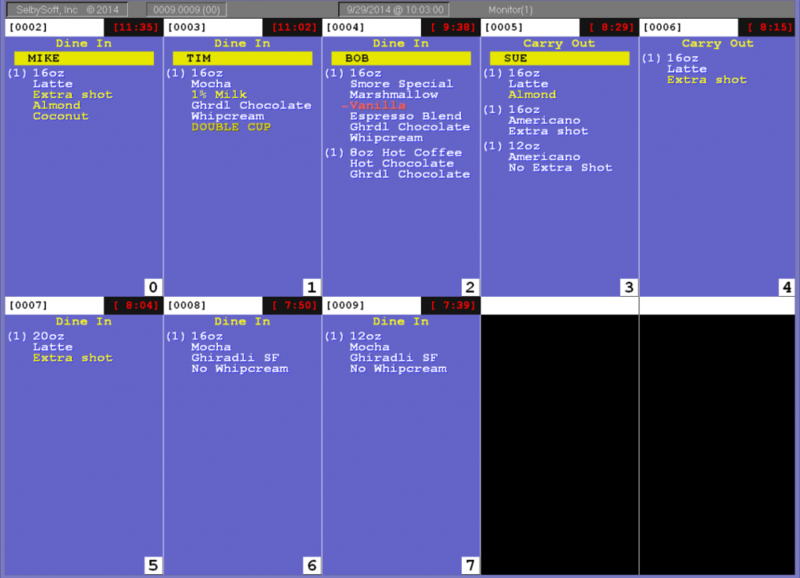 How employees take orders, positioning of the kitchen printers or monitors, flow of the orders in the store and more all matter. Adding a seconds to minutes to each order because of improper flow can hurt your business – reducing time can help! Intangibles: What about those things that are hard to put your finger on? Support & services, the integrity of the company or additional fees down the road? Sometimes you just have to trust your intuition on some of these things. Sometimes it is the simple concepts that are unique. Take the On Hold button in SP-1 for Coffee & Restaurants. This button allows you to hold payment on an order until later. Phone orders that will be picked up and paid for later that day. Casual service tabs – customers that pay at the end of the meal when you are not using table service. Customers that place an order but realize they left payment in the car, with their spouse etc. Drive Thru orders when the car places the order and then heads to the window to pay. On Hold tickets are designed to be closed out at the end of the business day. If you need to have an customer that is running a tab over multiple days, try looking at our Accounts feature.